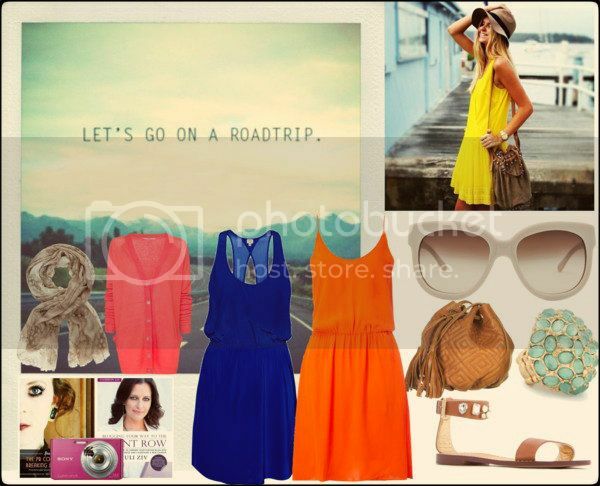 Roadtrip: What I Wish I Would Have Worn. In the last month I have been to 2 destinations that required me sitting pretty in a car for more than 3 hours. Really, I am quite used to traveling for this long - I took a lot of road trips with my parents when I was little, but I didn't really have to worry about what I was wearing. We would leave so early in the morning that I hardly ever got out of my pjs. That was the life. Now, its all about comfort chic for traveling. Here are a few things I learned from my recent trips. 1. Do not wear a jumpsuit/romper on a road trip. It takes way too long to get in and out of for bathroom breaks.. such a hassle. I will never do it again. 2. Do not wear black. Hopefully, you're summer road trips will be met with sunny weather. If you are wearing black, you will be a sitting magnet for the sun and even with air condition its going to be a little uncomfortable. 3. Sandals or slip on shoes will be your friend. There's nothing more relaxing then taking off your shoes. 4. Layer it up. Even though it will be sunny outside, the rolled down windows or the air conditioner may give you a slight chill. Have a cardigan or scarf on hand. 5. Sunglasses - I don't think I will have to state why. It doesn't matter if its sun, rain or gloom - its a road trip. Sunglasses are always necessary. 6. Reading material. My phone lost reception way too much. But it gave me ample time to catch up on my reading. I decided to forgo magazines and take advantage of the time I had to read what I've been wanting to read for forever. Road trips have never had the same class as flying on an airplane. But just because it's just a little more casual doesn't mean you have to be. Let's not forget the most important thing about a road trip.. the music. I put together a 10 track playlist, you can listen to it by clicking the play button. Thanks to Clutch 22 for introducing me to 8 tracks. I am obsessed with the site. Mix Tape: Road Trip from alixrose on 8tracks. Very lovely, the dresses are beautiful very bright perfect for the summer.